I've complained in previous reviews of the main Batman series that Scott Snyder seemed to be have been taking his sweet time in telling his stories since City of Owls. Zero Year in particular seemed to have been drawn out, with the promise of a revamped and deadlier Riddler being held ever out of reach until recently. 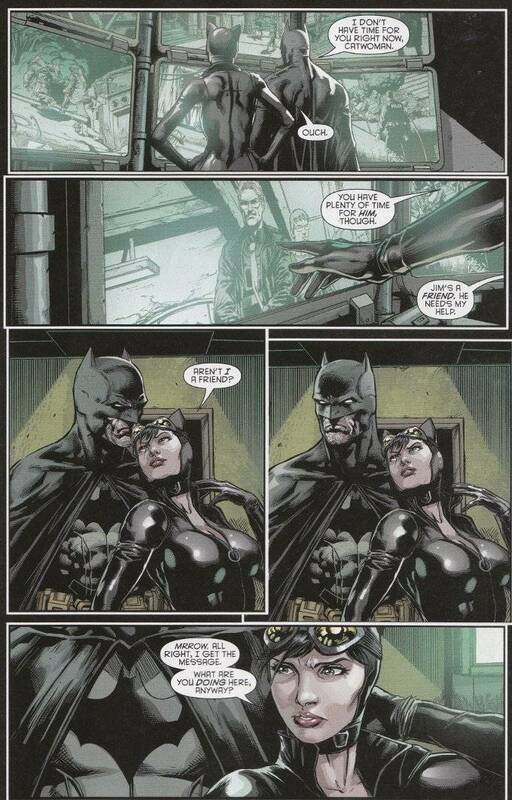 Well, I can make no such complaints about Batman: Eternal. The first issue kicked things off with a bang and this issue continues the trend, as Batman mobilizes his allies in the wake of a major disaster in Gotham City. 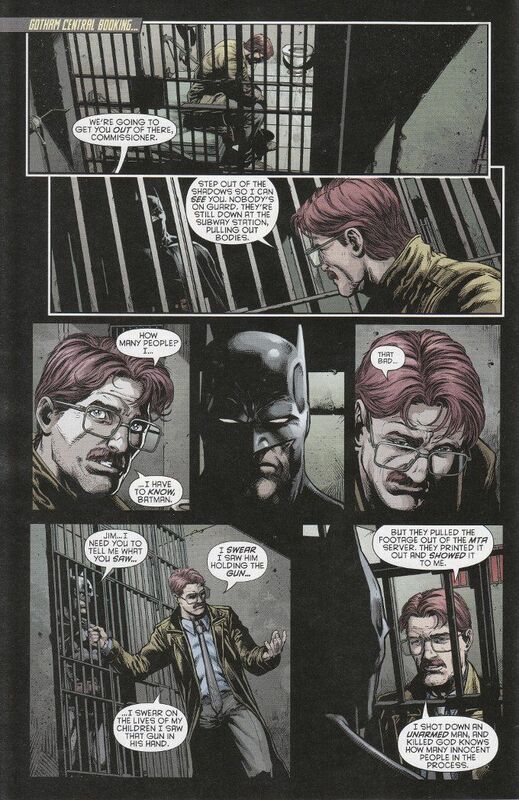 A disaster which Jim Gordon seems to have caused but nobody in the Bat Family or the GCPD can honestly believe he is responsible for. There's a lot of good character moments throughout the book and we know what villain is responsible for Gordon's fall by the issue's end. I won't spoil it here but it was an honest surprise and a true indication of how things have changed for Gotham City in the New 52 universe. The artwork is uniformly excellent. Jason Fabok's matches Bryan Hitch for the ability to fit amazing amounts of detail into a panel but I think Fabok's line-work is neater and more precise. The inks are surprisingly sparse for a Batman comic and colorist Brad Anderson highlights the artwork with multiple shades of black and grey.